I guess while I have a minute free I’ll share these photos with you. 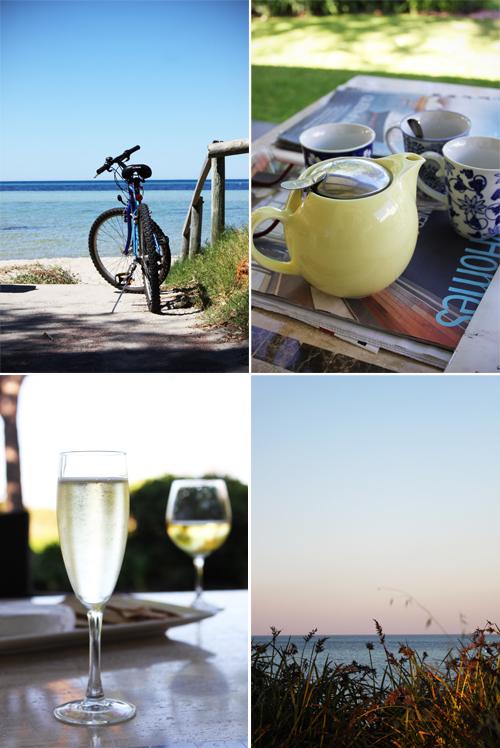 These are of my too-short holiday to Dunsborough, in which we ate, drank, cooked, fished, played cards, listened to my brother play the guitar every night, half got sick as we started the holiday, the other half as we finished up. If we weren't drinking tea or coffee, it was wine, champagne or my favourite g&t's! This is the amazing beach just a 10 metre walk from the house. The water was always flat, and you could walk for ages before the water hits your waist. We planned to do lots of fishing, but after a first failed attempt, we gave up. There was also the case of the mysterious blood in the water that freaked us all out a little. After the many shark attacks in WA of late, we decided one attempt was enough. 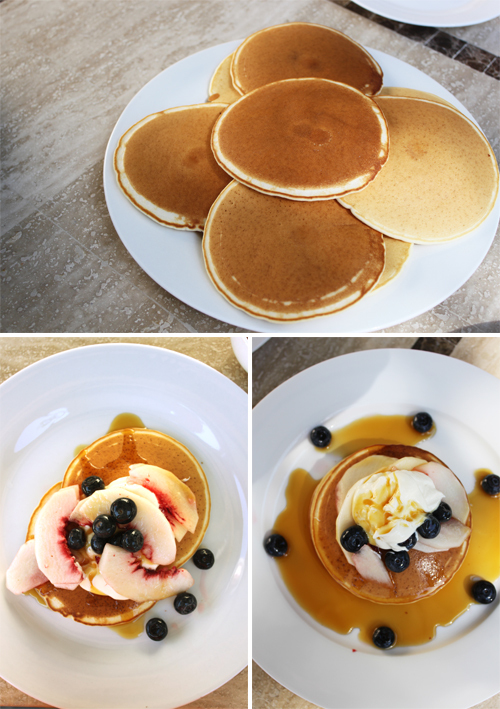 I should share this breakfast recipe idea with you, nothing fancy, but try pancakes with fresh fruit, yoghurt and maple syrup. Amazing! It's best to add a little sugar and lemon juice to the fruit first so you get this tangy syrup. As for the yoghurt, we like using a Greek vanilla. One thing I really wanted to do on this holiday was make some more fresh pasta. I followed this recipe again, and it was perfect! I seemed to have been really concentrating this time... To go with the fresh pasta, we cooked some clams in oil and garlic and added a splash of white wine and parsley. I'll share this recipe with you some time as I make it quite a bit. Oh and excuse the washing basket - we didn't have anything to hang the pasta over to dry out a little. There are so many cool places to explore down south, here we found some rocks near Meelup Bay, so decided to "walk" all the way to big-big rock in the background. Along the way we found a seal who may or may not have beached itself. 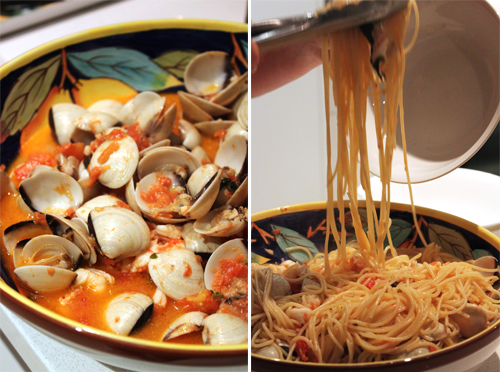 More pasta and clams! Can't get enough of it. This time we added some fresh tomatoes. On our final day, the weather turned. It rained, it was cloudy - dark clouds. We stumbled on a surfing competition down at Yallingup, and after hanging around a bit, we then ventured to Canal Rocks - an amazing place that after 20 years or so of going down south I have never seen! So all in all an amazing holiday. Just sad that it's over. However next year is already booked! Didi you seriously make fresh pasta? I'm really impressed..
Yep, sure did! It's really simple, you should give it a go!